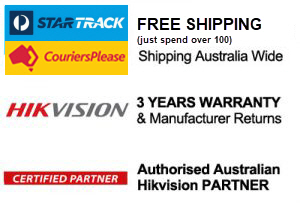 Welcome to our Hikvision Dome Camera Range. Part of Hikvision’s 2-Line range of cameras, the DS-2CD2742FWD-IZ is a vandal proof outdoor IR network dome camera with audio and alarm I/O, that produces an exceptional 4MP high resolution video. TProviding an ideal combination of features and affordability, this camera includes 120dB true wide dynamic range and supports H.264+ intelligent compression which allows output of an incredibly well balanced image and reduces bandwidth/storage requirements by up to 50%. 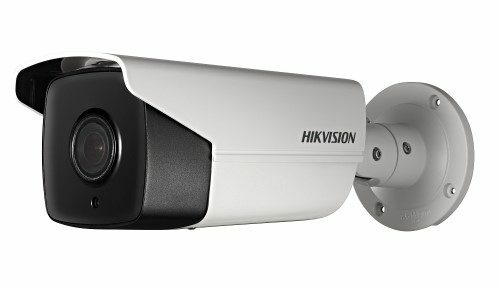 With inbuilt IR providing up to 30m visibility at night and with a 2.8mm to 12mm motorised vari-focal lens, this camera offers great flexibility. WIFI Model. Part of Hikvision’s easy IP 3.0 range of cameras, the DS-2CD2555FWD is an outdoor IR mini dome camera that produces an exceptional 6MP high-resolution video. Powered by the latest innovation in image sensor technology and an ultra high definition image processing chipset from Amberella, it supports H.265 and H.265+ intelligent video compression, which reduces bandwidth/storage requirements by up to 50% and 80%, respectively. Providing an ideal combination of smart features and affordability, the camera includes 120dB true wide dynamic range (WDR) and built-in EXIR 2.0 infrared technology providing up to 10m visibility at night. With a 2.8mm lens, this camera provides a horizontal field of view of 97 degrees. 4mm lens providing 79 degrees wide viewing angle. Part of Hikvision’s Easy IP 3.0 range of cameras, the HIK-2CD2185-4BLK or DS-2CD2185-4BLK is a vandal proof outdoor IR dome camera that produces an exceptional 8MP high-resolution video. Part of Hikvision’s 2-Line range of cameras, the HIK-2CD2542FIWS2 is a vandal proof mini IR network dome camera with a built-in microphone and WIFI capability, that produces an exceptional 4MP high resolution video. Providing an ideal combination of features and affordability, this camera includes 120dB true wide dynamic range and supports H.264+ intelligent compression which allows output of an incredibly well balanced image and reduces bandwidth/storage requirements by up to 50%. With inbuilt IR providing up to 10m visibility at night and with a 2.8mm fixed lens, this camera is great for covering a wide area so you can focus on the detail you really want. Part of Hikvision’s Easy IP 3.0 range of cameras, the HIK-2CD2785S-BLK is a vandal proof, outdoor and motorised varifocal IR dome camera that produces an exceptional 8MP high-resolution video. Part of Hikvision’s 2-Line range of cameras, the HIK-2CD2142FIWS4 is a vandal proof outdoor IR dome network camera with wifi and audio I/O capability that produces exceptional 4MP high resolution video. Providing an ideal combination of features and affordability, this camera includes 120dB true wide dynamic range and supports H.264+ intelligent compression which allows output of an incredibly well balanced image and reduces bandwidth/storage requirements by up to 50%. With inbuilt IRs providing up to 30m visibility at night and a 4mm fixed lens, this camera is great for covering a wide area so you can focus on the detail you really want. Part of Hikvision’s 2-Line range of cameras, the HIK-2CD2122FWDI4 is a vandal proof outdoor IR dome network camera that produces exceptional full-HD 1080p, real-time video. Providing an ideal combination of features and affordability, this camera includes 120dB true wide dynamic range and supports H.264+ intelligent compression which allows output of an incredibly well balanced image and reduces bandwidth/storage requirements by up to 50%. With Inbuilt IRs providing up to 30m visibility at night and a 4mm fixed lens, this camera is great for covering a wide area so you can focus on the detail you really want. Part of Hikvision’s 2-Line range of cameras, the HIK-2CD2142FWDI2 is a vandal proof outdoor IR network dome camera that produces exceptional 4MP high resolution video. Providing an ideal combination of features and affordability, this camera includes 120dB true wide dynamic range and supports H.264+ intelligent compression which allows output of an incredibly well balanced image and reduces bandwidth/storage requirements by up to 50%. With inbuilt IR providing up to 30m visibility at night and a 4mm fixed lens, this camera is great for covering a wide area so you can focus on the detail you really want.